Twenty years in the kitchen cabinet manufacturing industry. Persuasive and productive sales abilities with training and design expertise. Extensive knowledge of kitchen, bathroom and complete home design. Successful presentations of showroom and trade show design concepts. Excellent customer service skills and team player traits. Territory manager serving a portion of NW Indiana, northern half of Illinois and a wide expanse of Wisconsin. Assisted getting new businesses into the cabinet industry. Promoted closet and furniture bath brands to expand dealers purchase of Wellborn Cabinet. Supported remodeler program to drive business to the dealer. Trained and coached new dealers to succeed current developing business climate. Complete design for two retail factory outlet showrooms, positioned to sell to the local community. Trained General Manager on box cabinet layout, CAD program design and consumer buying profiles. Displayed an entry level product in an upgraded appearance, produced a positive closing ratio and successfully initiated upgrades where available to all sales prospects, consumer and contractor. Experienced a different culture in a special community of people. 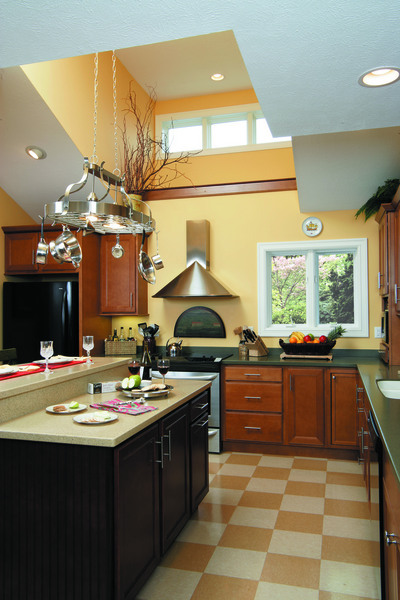 HomeCrest Cabinetry, Division of MasterBrand Cabinets, Inc. Manage, direct and finalize multiple aspects of cabinet displays in customer showrooms and trade show displays. Presented product that broke out of its stock reputation. Coordinated product training responsibilities, with a focus on function, knowledge and design appeal, to increase sales, profits and market share. Created Power Point presentations for visually exciting classes highlighting both factory and dealer design creations. Instruct and train dealer /distributor sales and designer teams in their presentations to sell product. Training sessions in the field and at the factory resulted in tracked sales increases. Build and present PowerPoint training sessions on line. Initiate new products, doors styles and cabinet pieces, from developmental stage through introduction along with the marketing and manufacturing teams. Coordinate product offerings with 2020 catalog creator and offered 2020 assistance to dealers. Initiated catalogs with Pro Kitchen and introduced customer base to an alternative computer aided design program. Supervised outside design assistance for expanded design service to customers. This service was instrumental in helping certain new dealers start producing immediately. Developed a successful retail dealer network after after a long period of builder distributor neglect. Twenty new accounts in first 6 months, tripled volume. Promoted brand name and price point benefits with quick order and ship times. Created excitement for an independent builder sales brokerage program resulting in strong builder direct sales. Implement and participate in sales and marketing program for major building distributor pioneering factory cabinet product to dealer and lumberyards. Provided training, estimating, showroom design and inventory maintenance. The Kitchen Center, Sacramento CA. Major Lines of California, San Francisco, CA. Sales and design positions with several kitchen and bath dealers, and wholesale distributors. Job responsibilities included managing both inside and outside sales to trade associates, consumers, architects, builders and contractors. Sales and design emphasis was on custom and stock cabinetry, appliances, counter-tops and flooring products. Most job advancements were initiated by hiring party. "Laurie and I worked on numerous projects together. Her creativity, innovative and artistic ideas provided an envirornment that encouraged out-of-the box thinking, leading to fresh and remarkable results." "Laurie brings a very unique package of work exprience, highly developed skills and attitude that are a rare find in the kitchen industry today"
"Laurie's skills as a sales person, designer and trainer added greatly to our company's growth; she proved invaluable to her Customers, always striving to work on their behalf"
This degree was a joint collaboration with the fine arts department and the home economics department. The combination of subjects worked well in securing a job and would be very similar to an interior design degree today. Attendance at numerous business and industry seminars during career. Classes included marketing, design trend presentations and personnel management forums. Examples are, but not limited to the listing below.